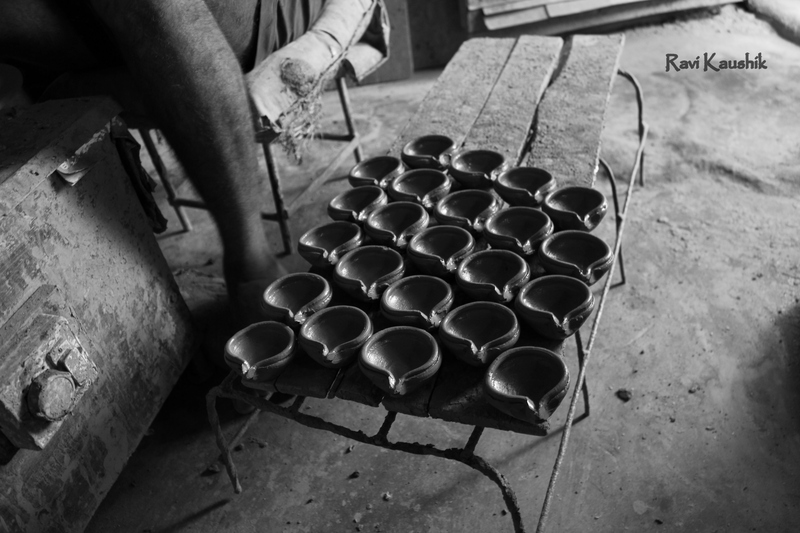 A potter completes work on diyas (lamps) at Pottery Town, Bangalore. He works in a cramped room which seems to be decades old with abandoned furniture, broken clay pots and bits and pieces of machine parts. The only source of light is from the small window and the door. The work to produce these beautiful lamps is monotonous and dreary. That is both beautiful and sad…beautiful picture, sad story. Your photo is so elegant and the words are so moving… what a lovely story.